Fellowship groups are a great way to get to know one another at Grace Church Brockley, typically groups of 6-10 people meet together in the week (normally a Tuesday/ Wednesday or Thursday evening depending on the group). We meet to pray together, and to read and study the bible. We encourage all those coming to Grace Church Brockley on a regular basis to commit to a fellowship group to deepen friendships, encourage one another and share each others burdens. We're currently looking at the book of Galatians. 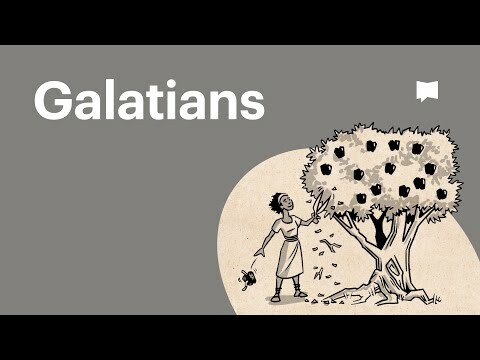 Watch this film for a great overview of this letter from the apostle Paul to the Galatians. GCB members will be able to download the study notes from the LEARN menu of our website. Please log in to the website first to be able to access this resource. Group leaders can access the leaders' notes from the MEMBERS menu/Cloud files .